According to author Brian Tracy, setting deadlines increases the likelihood of success by as much as 11.5 times. Imagine the impact this number would have on meaningful meetings? 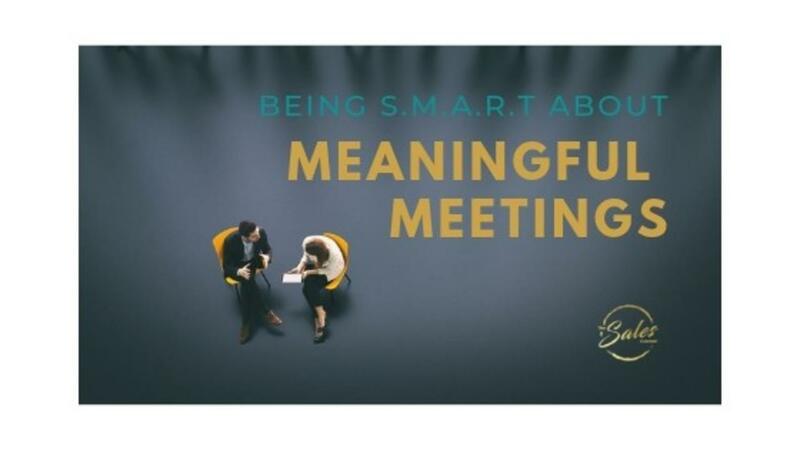 That’s great, you may say, but what is a meaningful meeting, and how can I have one of those? Well, adopting the SMART goal framework in a business sense makes perfect sense, so how do you adapt those goals to bring about goal-driven, action-oriented meetings, while sticking to deadlines AND still getting the right message across? Most meetings have a way of getting out of hand, veering off topic and losing the point. Have an agenda that is clear-cut, specific and to the point. Communicate exactly what your expectations for the meeting are. Vague goals have a way of making you lose control of your meeting. Did we do what we said we would do? How did we implement that strategy? Send out minutes as soon as possible. Use action items to delegate. Initiate contact to make sure that any questions hampering the post-meeting needs are dealt with. Are the goals we set achievable? Do we have the resources required, and is that goal doable, given the time we allocated to it? If your timelines are too tight, goals will fail. If they’re too loose, goals become less important to achieve. Without the correct resources to achieve those set goals, your mission will fail. Dream big ... but plan bigger. In order to be meaningful, a goal should relate back to your mission or vision. Otherwise, what’s the point? Meeting agendas must be relevant and relatable. The people you call into your meeting must be able to visualise your mission and pinpoint their role in achieving that mission. Challenge each agenda point by asking, “What happens without this agenda item?” If your answer is “nothing,” then that agenda point is irrelevant and will waste valuable time. Deadlines are not always about time. We see this a lot in consulting, where the deadline given is a rate of reward, thus a monetary deadline. Achieve X to gain Y. Do it by Z and we’ll incentivise you. Make sure your agenda points have specific deadlines attached to them. Outline the outcomes and what this means in context of the whole agenda and the project being discussed. Remember, we do not always need a new approach to make our meetings more meaningful. Often, you will get further by implementing a consistent approach.